My Choice Plumbers offers the best hydronic heating systems’ installation and repairs all across Faraday. Our certified professionals have experience to deal with all makes and models of hydronic heating systems used in Faraday. Our clientele includes both residential and commercial clients. With over two decades of experience in this industry, we are definitely a reliable choice when you are looking for professionals for your hydronic heating systems. Call us to get a flawless hydronic heating service in Faraday! Hydronic heating is a better, economical, and safer method for heating your homes and offices. Here in hot water is used for heating the rooms. A lot of stuff is used including hot water storage tanks, baseboards, radiators, radiant tubes, insulated pipers, and a heater (solar, gas, or a heat pump). Hydronic heating systems do not leave any carbon footprints and are thus environment friendly. They are light on your pocket as power consumption is way too less as compared to other conventional heating systems. Get one installed by My Choice Plumbers! 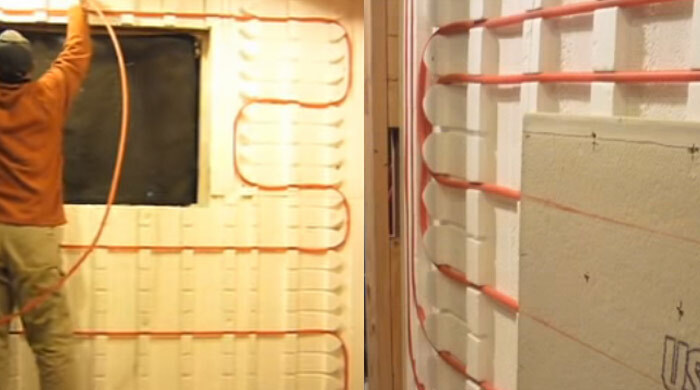 A hydronic heating system uses hot water to heat your home/office. First of all, you need a water heater – a heat pump, a gas boiler, or a solar heater. This is used to heat up the water which gets transferred through insulated pipes to hot water storage tanks. For hydronic heating systems, you need to install hot water radiators, underfloor heating systems, heated towel rails, or wall heaters. A pump circulates hot water through these devices to provide heating to the living spaces. This pump is also responsible for bringing back the cold water to the heater where it could be heated again before being transported to the storage tank. My Choice Plumbers provides unbeatable prices for hydronic heating installations. We have a core team that not only installs hydronic heating devices for you but also helps you in choosing the right product for your needs. What’s more? We do a hassle-free and mess-free installation of these systems to make life peaceful for you. You might need a heated tower rail, in-slab heating device, or a steel panel radiator when you go for hydronic heating in your home. Don’t worry. Our professionals will guide you through all the available options and make sure you get the best of everything. Why Switch to Hydronic Heating? Moreover, when you get hydronic heating system installed many options get opened up for you. You can get customized heating boilers, underfloor piping, heated towel rails, trench convectors, floor coils, and radiator panels. These have their own benefits. 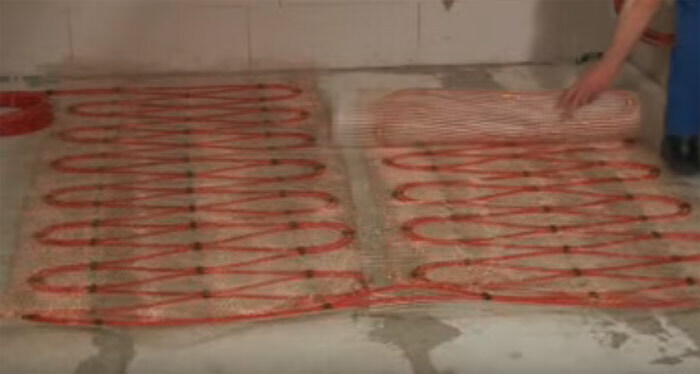 Call us to know more about these options that come along with hydronic heating installation. Wish to get a hydronic heating system installed for a commercial site? No problem, we have got you covered. My Choice Plumbers Faraday provides repairs and installations of hydronic heating systems to commercial places all across Faraday. Commercial hydronic heating systems require special kind of knowledge and training. So we have a specialized team consisting of experienced professionals in this field. They also have intense architectural knowledge to help you purchase the right size boiler and other necessary accessories. We make sure that your hydronic heating system gets properly installed so that you don’t have to pay hefty power bills. My Choice Plumbers provides hydronic heating system repairs for makes and models. Our trained technicians first inspect the system and find the problem. Then only they work on the solution. Be it a minor fault or a part replacement – our professionals have the expertise to do it all with precision. So if your hydronic heating system has got a problem, call My Choice Plumbers! My Choice Plumbers offers hydronic heating installation and repairs at residential, commercial, and industrial level. My Choice Plumbers has been serving Faraday with finest and safest installation and repairing of hydronic heating systems. We hire only licensed and certified plumbers and we provide complete guarantee for our plumbing services. We are locals of Faraday. We have license for plumbing services. We offer clear pricing for our services. You can book online for our services. We provide emergency plumbing services. We have experienced and trained team. When you hire My Choice Plumbers Faraday for your hydronic heating systems, you will get a written guarantee for all our services. Call us today to enjoy the benefits of your hydronic heating systems uninterruptedly! My Choice plumbing is available for your hydronic system repairs and installation round the clock. Our expert plumbers can handle any kind of hydronic heating system efficiently. We make sure that you get same day hydronic system repair and installation. Our plumbers are equipped with better tools and equipment which saves time and provides best repair and installation results. Hire My Choice Plumbing today and get your hydronic heating systems installed and repaired within 24 hours. We promise to deliver same day results available for you at affordable costs, save your money and time by hiring My Choice Plumbing today. My Choice Plumbers is a renown company for hydronic heating system repair and maintenance services. We have made thousands of our clients satisfied with our services, our hydronic heating system repair services have quality. We hired the best technicians who are capable of handling a tough situation, they’re also adaptable. We provide quality hydronic heating services which have made us the number choice among people in Faraday. Our services are also affordable, in which we do not compromise with quality. For bookings, call us now, if you want to know more about services browse our website, we have mentioned all the necessary information about our hydronic heating system repair and maintenance service.